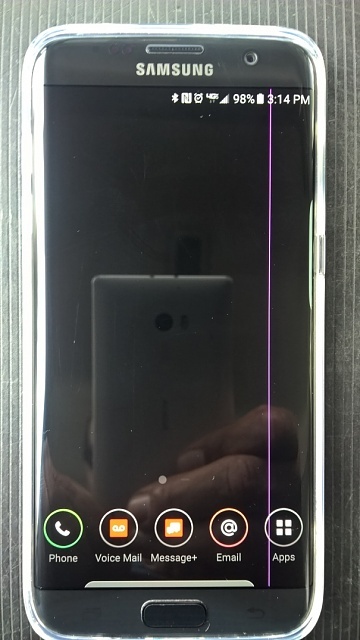 I have T-Mobile S7 Edge since March 1st without any problems whatsoever...However, while at work tonight, I had a Vertical Purple Line appear on my screen out of nowhere. I have a UAG case on my phone and haven't dropped it or anything. I was pissed off, to be honest. After about 4 hours when I got off work, I got in my car and turned on the phone, it was gone. Has anyone else experienced this? That sounds strange. I would recommend returning it for warranty service if it happens again. If this happen can you do screen shoot? Like post above do warranty swap. Another victim... It goes away if you apply light pressure just under the UNG below the speaker. Leojakes, Nel_B, turtlez86 and 1 others like this. crack to the bottom appeared. I used phone for 10 days before sending to Samsung for repair. For one of those days the line had a weird red thinner line within itself at about the same place as yours. I think we have a pic on wife's phone. im almost sure the line is caused by that "SD_Black" theme you downloaded, because I downloaded the same theme and I have a thin green line down the left hand side on my s7 screen, even after I deleted the theme. have you tried doing a factory reset on your phone? Because I used to apply pressure on my s6 edge while playing FIFA 16 there have been multiple purple lines on my screen. When I approached the vendor they refused to give the warranty because they think it's due to drop down physical damage.. Can anybody advise any alternate solution to claim warranty. @sniperservice - Did they have to do a factory reset on your phone when they replaced the screen? 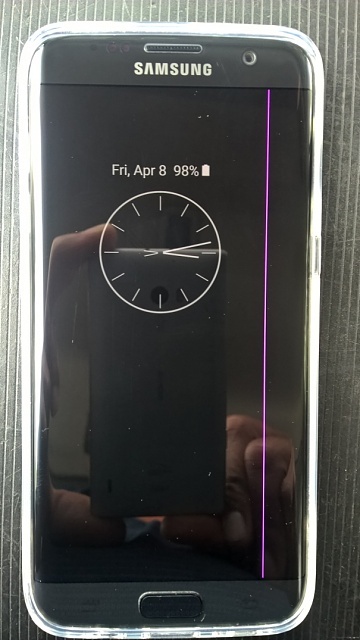 My Galaxy S7 Edge started showing this vertical line about a weeks ago, only it's pink, not purple. Furthermore, it was initially a single line although now it's usually a "double" pink line with one line thicker than the other. I've included a screenshot. This line also started appearing out of nowhere. My S7 Edge has also been working flawlessly for the past few months or so and it's never been dropped. All-of-a-sudden, the line was just there. I don't remember exactly when it first appeared but it is pretty annoying. I talked to Samsung support a few days ago. The tech, of course did not believe it was a screen defect and had me try several things, none-of-which helped any, of course. He recommended that, since I have insurance with Verizon, I try Verizon first since the replacement would be a lot faster and more efficient. I'll probably check with Verizon but tend to think I'll be better off having it repaired under warranty from Samsung (although I don't particularly like the two-week wait). I have to check my Verizon insurance but, if I remember correctly, it's not a totally free replacement. The Samsung Tech is supposed to call me back in a few days. Does anyone have any comments or suggestions? I'm also curious as to whether or not a screen replacement would require a factory reset of the S7? Thank you. UPDATE: After previewing my reply before posting it, I just realized that the screenshot I uploaded does NOT show the vertical pink line(s). I thought it was there when I first created the screenshot. But it's definitely not there now. I'll upload another screenshot later if I can get one that shows the pink line(s). Sorry about that. 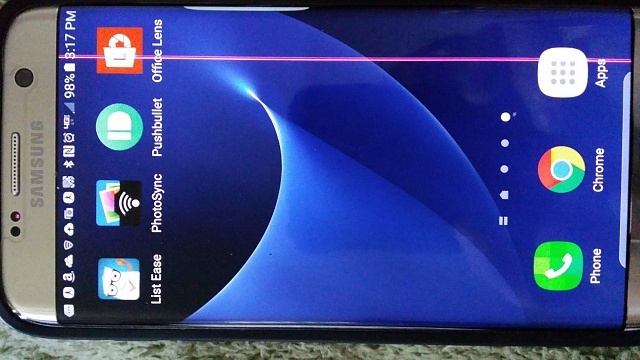 I was able to take a photo of my Samsung Galaxy S7 Edge showing the pink vertical line(s) that did not appear in the screenshot I submitted earlier. Note that this line appears on every screen in every program I run except that it does not appear on the "always on" blank screen. I sent mine back to samsung for same issue last week even though my service provider Vmobile wanted £268 to fix it..
should be delivered back today. So I currently have this issue, in fact out of my friends who all have either the S6 or the S6 edge, 4 out of 6 ppl have it. So we have all sent them for repairs. It started off as a single faint line, which would disappear when I would turn off the phone and wait 5 mins, then turn it on again. Then it became permanent. Not sure what to do, I contacted Samsung and they referred me to the repair center. I brought it in and they stated they see this issue all the time and that they could fix it, I was just missing my proof of purchase. So i'm looking for it now, but in the mean time the lines have steadily increased to 5-6. It appears to only be lines as it does not affect the touch input or the device itself. I've never dropped it and there is no water damage. 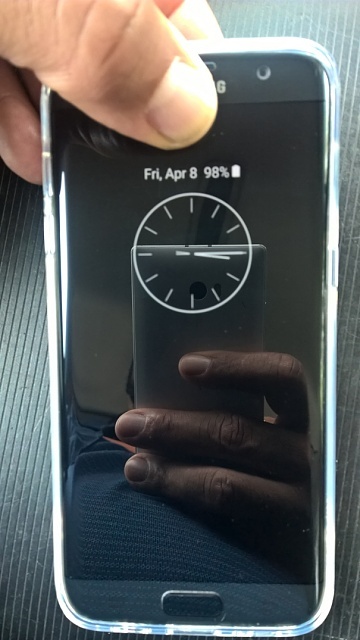 It's just disappointing, as they on the phone they say they've never heard of this issue, but then when you go in person they say they see it all the time, as well as if you google 'Samsung S6 pink lines' you see it in all of the forums. How long do they take to give you the phone back? Woke up and a thin purple/pinkish line on the power button side, top to bottom on the display. 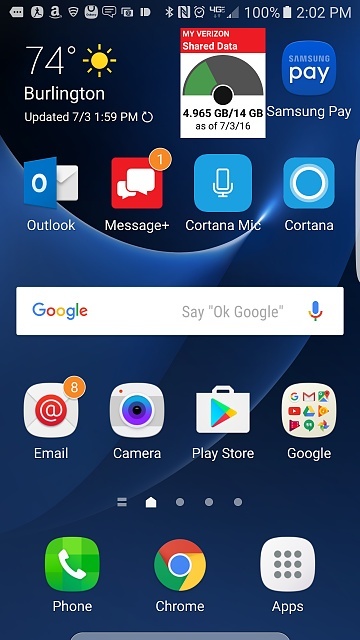 Push lightly near the Samsung logo at the top and I can make it appear and disappear (someone posted about this). Sending me a replacement under factory warranty. No sending it in. Looks like Sammy has an issue with the displays. Verizon was very good about it. Why isn't my phone turning on? Why don't my text messages get sent successfully on my Samsung Galaxy J5? 30 minute time out on calls?